What Do You Think About Sustainability? This survey is 15 minutes long, and explores how you feel about the environment and climate change, and how you view it in your life. This version is for young people aged 6 to 11 years old, and is completely anonymous. No personal details will be asked for or shared with any third parties. The idea is to help you explore your thinking, knowledge and ideas, and this will help us design better programmes for you! Please answer all questions as honestly as possible and remember that there is no right or wrong answer. * 1. What is the first thing you think of if I say 'Sustainability'? * 2. How do you feel about climate change? * 3. What are the things you worry about? Please write down your top three. * 4. In what order would you rate these categories, with 1 being most important, and 5 being least important. * 5. How do you feel about the future, with 1 being most positive, and 5 being least positive. Or for the future for everyone? * 8. What do you think it means to live sustainably? * 9. Do you feel that you live in a sustainable society? * 10. What do you think is one thing that you could do to live more sustainably? * 11. Do you think, that if nothing is done to stop it, climate change will affect you in your lifetime? * 12. Have you heard of the UN Sustainable Development Goals? If 'Yes', please describe the UN Sustainable Development Goals in one sentence. * 13. When you think about your own personal future, what are three things you imagine in it? * 14. Young people have identified 10 issues they believe will affect their personal futures. Please tick three you think will affect your future. * 15. What do you think is the biggest thing that you personally can do to change climate change? * 16. We would like to know where you have learnt about sustainability and climate change, please can you tick all that apply. * 17. What are you being taught that contributes to creating a fair and just world living within the Earth's resources? * 18. What would you like to be taught that would contribute to creating a fair and just world living within the Earth's resources? * 19. Please tell us the name of your school. * 21. Are you... ? * 22. What country do you live in? The latest IPCC (Intergovernmental Panel on Climate Change) report tell us that we have 12 years in which to stabilise and reduce our impact on the environment before we enter runaway climate change. Environmental Sustainability: Is about managing human activity in a way that does not destabilise the natural environment, it is normal for various forms of life to use resources and deposit waste in their environments, but in the natural environment these are in equilibrium. Sustainable Development: Development that meets the needs of the present, without compromising the ability of future generations to meet their own needs. It is economic development conducted without the depletion of natural resources. Climate change: A long-term change in the Earth's climate that may render the earth inhabitable for humans, especially a change due to an increase in the average atmospheric temperature: Melting glaciers imply that life in the Arctic is affected by climate change. Thank you for completing our survey. 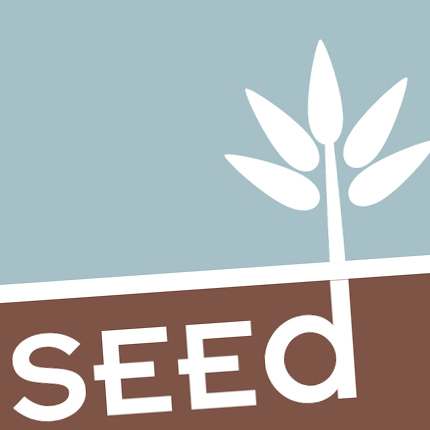 Please remember that all information and opinions given in this survey are entirely anonymous and will be used solely by SEEd for research purposes. This survey is the first second part of a two-stage process through which we will seek to better understand young people's understanding and needs towards sustainability and the topics that this encompasses. By completing this survey, you are participating as part of our wider survey group. We want to know if sustainability and climate issues are something that young people are thinking about what those issues are within that topic that are focused upon, and how young people feel about these with regards to their futures. This quest for information stems from our desire to tailor our learning, teaching, and facilitation techniques to better meet the needs of the young people that we will be working with in the future.